Tomorrow, reassessment of current Centre leadership in its 27 regions comes back to Tartu. They say this will be a kind of Congress No 2 for the party after the dramatic jubilee event last year. It’ll be the veteran regional leader Aadu Must vs Riigikogu member Oudekki Loone. They tried to pick a new chief once, already, in Tartu. But failed to get the needed quorum. The Tartu battle will be a principal kind and may affect the city powers. Should Edgar Savisaar’s favourite Ms Loone succeed in replacing the leader’s former close friend Mr Must, a signal shall be sent to Reform governing the city who have been trying to avoid cooperation with the Savisaar-minded on all levels. Thus far, Mr Must has been a worthy buffer. For their own purposes, Centre has divided Estonia into 27 regions. By now, none have picked a new leader. It’s passion and fireworks: in the wake of the congress, the camps of winner Edgar Savisaar and Riigikogu faction head Kadri Simson (daughter of Aadu Must – edit) are working along the borders to lure voters like switching a dozen Ida-Viru votes to Valga County, or registering some twenty Lääne-Viru members over at Tartu for a few days. All in the name of getting the «right» guy voted in. The party is in turmoil and extremely active. As an example of that, for the election of Narva region leader, half of the 500 members showed up of whom most were for the MEP Yana Toom. According to Mr Toobal, the Tartu elections must not be overemphasised. «There has been a lot of talk about the Tartu elections labelled Congress No 2, and I have noticed that Aadu has been upset about Oudekki having brought members from other region, but let me tell you Aadu has done the same,» he said. Mr Toobal said the losers of the congress i.e. the «Camp Simson» are unable to get over it. «I hope all are thinking about the local elections next year which could be goal number one, but it can be felt that part of the party is rather thinking about how to bring the party to a place «the worse the better»,» said he. More than the internal Centre elections, other parties are interested in what is happening in Riigikogu at end of March i.e. the elections of Board of the Riigikogu and leader for Centre faction. On March 22nd, Centre convenes its board to set up candidates for both positions. The day after, at secret ballot they select the head for the faction. On March 24th, however, Riigikogu elects its new Board where Jüri Ratas is desirous to keep going as vice chairman. Mr Toobal says «it’s no secret that the faction is dissatisfied with its current leadership». Ms Simson, however, thinks she has done a good job and of the 27-member faction she has the support of at least 14. Meanwhile, to the knowledge of Postimees Edgar Savisaar would prefer Jaanus Karilaid to head up the faction. 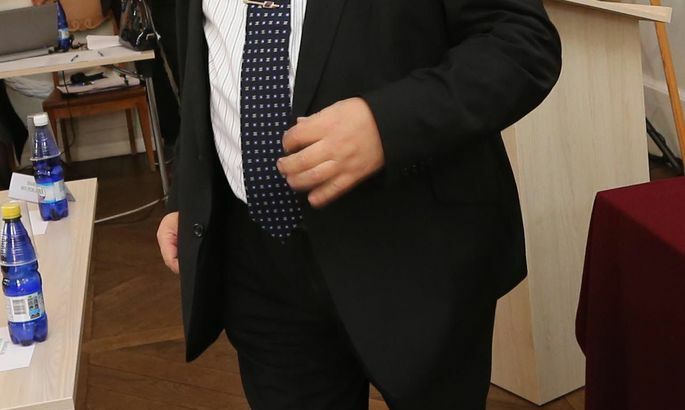 Should he fail to get voted in for any reason, the next pick would be the party chairman’s own son Erki Savisaar. But at any rate the post must go to somebody «our own» in the eyes of Mr Savisaar as it makes no sense to let Ms Simson the traitor command the entire faction and the money. What happens if Ms Simson loses? Her camp has said they will not exit the party and will be waiting for a new chance. But that may not work as the party board can always find a reason to expel members who lost trust. As has been said: the Centre choices will impact the entire political landscape. A lot depends on whether Ms Simson continues as faction head, of if Mr Ratas gets to head Estonian Olympic Committee. Which is said to be rather likely. If Mr Ratas is indeed placed as EOC head on April 15th, Ms Simson may get «promoted» to be the vice speaker. Why the quote-unquote? Because the job is without much authority except that one gets to bang a hammer. Faction head, however, is a negotiator with other parties with whom these can make their deals – from supporting bills till creating a new government, say –, as there are none at Toompea who believe the current coalition holds for three years to come.